We decided to move to the West Coast! I’m super excited to announce that I’ll be working my dream job in two weeks! This move will require us to downsize significantly and I only have a few weeks to get rid of our extra stuff! We decided to sell everything on Craigslist AND I’M LOVING IT. I started by taking well-lighted, staged pictures of a few pieces of furniture last week and have now started putting everything we own up for sale. At first, we didn’t want to part with our fancy 5pc sectional, our awesome fire pit, or our cherry desks so we didn’t put them for sale. Our minds quickly changed though when the cash money started coming in for our dining room table, chairs, old dog crate, and used mattresses (who buys used mattresses? Guess a lot of people). We then put everything up for sale. We’ll see what is left over at the end. As long as we have one bed and one couch left, we are good. Truth is, we need this money. We stupidly financed a lot of our furniture at 0% and have been paying about $150 a month to furnish a 3000+ sq ft house that we can’t really afford and still have a little bit left on the loans. We will use the cash from the sales to pay off the debt. Selling things is an addictive feeling for me, almost like a game. I am thoroughly enjoying negotiating back and forth with random people, trying to strategically update my postings, and playing the Craigslist game. I just hope when the buyers come to the house, they are not the craigslist killer. The below is what I have learned from my Craigslist hustle. Here’s the deal. 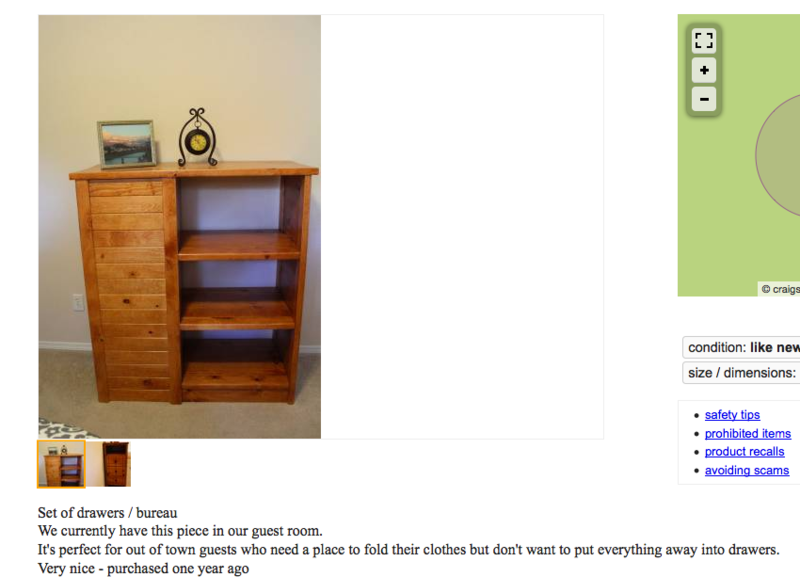 99% of people are too lazy to put good pictures up on Craigslist. Take the extra second to stage a nice, well-lighted picture and it will go a long way. Search for “used mattress” on Craigslist and see what I mean. You’ll find the creepiest, yellow-lighted, gross mattress pictures. 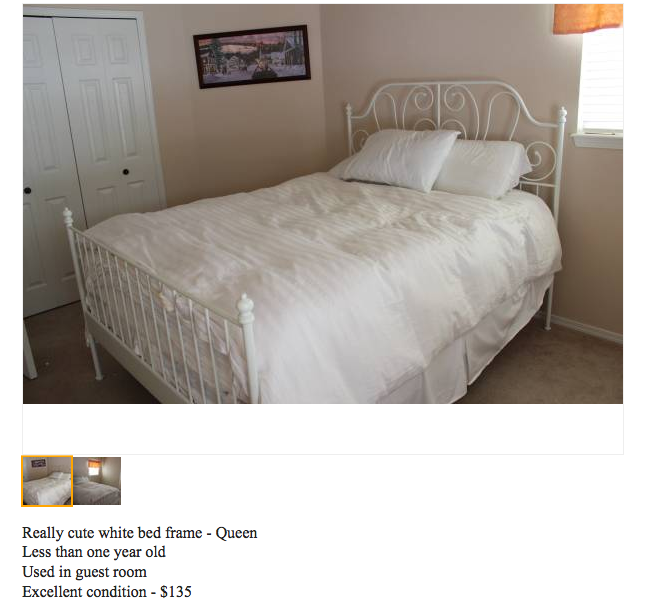 When I sold our two queen-sized guest room mattresses, I used the same picture posted above in the bed frame ad. Doesn’t matter that the two mattresses came from different rooms or that we were not even showing the mattress itself in the pictures. People want to feel comfortable that the item is coming from a nice, clean home. Pictures can give that impression. I wanted this stuff gone quickly so I priced to sell. I researched what similar items were going for in the area and then came in around that price. Sometimes I was able to get a little more than competitors for some of the items (such as the used mattresses) because I had better pictures than what was out there. I did have a few people reach out with low ball offers. I turned them down or would respond with a more reasonable price. If they offered within $10 or $20 of asking price, I just took their offer. No big deal. Be prepared for buyers to haggle with you when they get to your house. That threw me off guard the first time it happened but again, as long as the offer was within reason, I took it. Getting a new customer to your house takes too long. It’s not worth letting them walk away for $10 less. (If your goal is to sell as quickly as possible). Put all of the items for sale in one place. If you see a buyer looking at another item, offer to bundle it with the item they came to see. All of my buyers spent at least $20 before they left. I accomplished this by giving them space to look around without me hovering and then made them offers that were “too good to pass up” when they were about to leave. 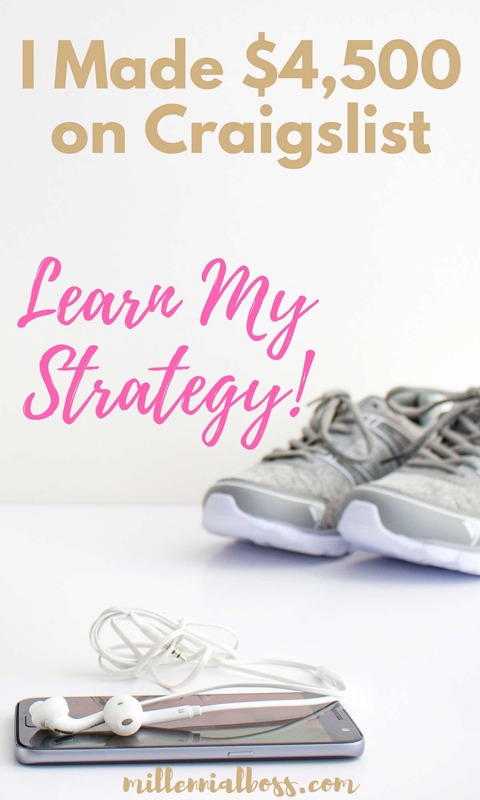 This strategy made my life easier. I got rid of things I would have to donate to the goodwill anyways and I made more money! Make it a goal to never give change. Instead of giving someone $3 back, get rid of more stuff by offering them a deal. 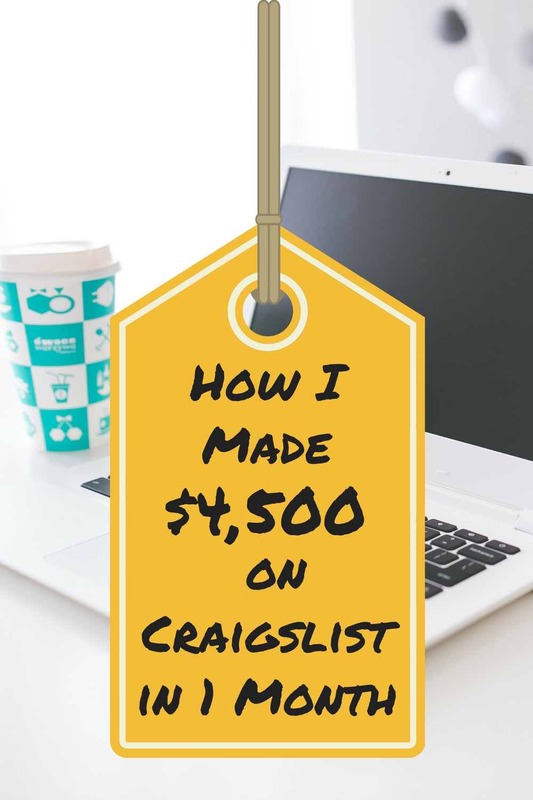 Maintaining your posts properly is an important part of the Craigslist strategy. This means updating your posts every day (dropping the price, experimenting with different copy, etc.) as well as renewing your posts every 48 hours. When you renew your post, Craigslist will put it at the top of the stack again. Also, don’t forget to delete posts for items that have sold already. It’s a pain to email back and forth about an item that you no longer have – and it’s poor Craigslist etiquette (if there is such a thing). We posted both in the individual item sections (such as furniture) but also in the garage sale section. The people who respond to the garage sale section are typically young people looking to furnish their first apartment, people who just relocated, or the “regular” weekend yardsale types. This is a great group to upsell. I sold pans, mugs, silverware, art, etc. to those responding to the garage sale ads. This strange bureau was once part of a bunk bed but I bought it from a furniture store to use as a guest room dresser. I was shocked at the number of inquiries I got asking about the dresser. I think it looked better with the picture frame and the clock than bare so I kept those items in the picture. I also included in the description how I thought the piece could be used since it was a strange piece. One of the buyers who contacted me runs an AirBnB and said it would be perfect for her needs – exactly what I was going for. On multiple occasions, my fiance and I took apart bed frames, carried mattresses and recliners downstairs, only to have the buyer not show up – after they emailed us multiple times to make sure we still had the piece. Buyers are flaky. Buying your stuff is not their top priority unless it’s a great deal. Our front room became a furniture warehouse but it actually was a good thing. We had a buyer come for the recliner but ultimately left with another more expensive piece of furniture. Never hold an item for someone. First person to the item, gets it. We got burned by saving items and never having the buyers show up. You’re probably not as attached to your stuff as you think you are. I don’t miss anything that I’ve sold on Craigslist despite feeling anxious about parting with it prior. I would make keep and sell piles and then slowly over time start pulling items from the keep pile into the sell pile. Sometimes it takes a few days to part with your stuff. If you think about it, do you really need 10 mugs, 5 frying pans, and 6 throw blankets? Even if items are in great shape, let them go! TOTAL = $4,500 in sales! We made $4500 on our side hustle in 4 weeks. Not too bad! We used the money to pay off debt and ultimately paid off $89,000 of Debt in 18 Months. Have any tips on selling items on Craigslist? Ha! Price to sell! I’ve adopted the mantra that cash in hand now is better than cash I spent awhile ago on things. It’s helped me get over pricing something a lot lower than I paid. I heard the used phone market is not that good though so it will be tough. Great tips. We’ve also been trying to sell some items (on Kijiji instead), but haven’t had that much luck yet, will definitely keep these tips in mind in the future! Oo never heard of that! I’ll have to look into it. Thanks! Go Jules Go recently posted…PHENOMENAL COSMIC POWERS…itty bitty living space.